Updated: Added additional details from a Bloomberg report. 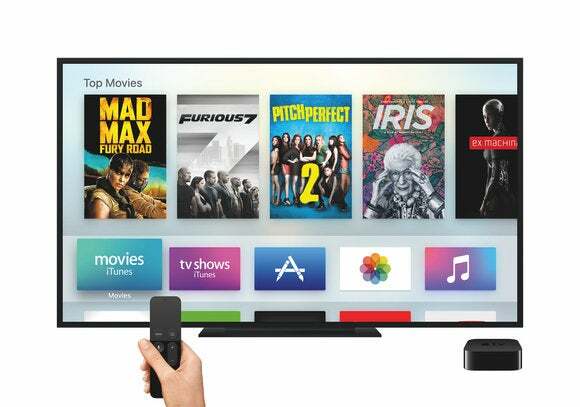 Apple has been long-rumored to have a new TV service in the works. Now, according to a new report from CNBC, the service is nearly ready to launch. It claims that Apple is finalizing its deals and software, with an expected launch in April or May. A separate report from Bloomberg says that Apple invited big hollywood stars involved with Apple’s original TV series to attend a March 25 unveiling of the service. The stars include Jennifer Aniston, Reese Witherspoon, Jennifer Garner, and J.J. Abrams. The service would correspond with a new TV app for iOS and Apple TV devices that allows users to subscribe to streaming services right within the app, and all their content consolidated within it. In that way, it will be similar to Amazon Channels, though we hope it has a wider selection of premium content and a better interface. Apple may find it hard to get its service off the ground, though. Netflix, the 800-pound gorilla of streaming, is not going to be included in the offerings, according to CNBC’s sources. Neither is Hulu, which is fairly popular within the U.S. HBO’s streaming service is probably the most popular among individual traditional channels, and CNBC’s report states that it’s not on board yet, though negotiations are in an early stage. Neither Netflix nor Hulu are part of Amazon’s Channels lineup, either. And how many people do you know who do most of their TV watching through Amazon Channels, despite the enormous reach of Amazon Prime and the fact that the Channels service is several years old? Of course, those who own an Apple TV will still be able to watch Netflix, Hulu, or HBO as they do now: inside their respective stand-alone apps. Apple is expected to supplement the various subscription channels with its own premium content. The CNBC report says this content will be free, but the Bloomberg report says, "along with an Apple subscription, there will be some free content." Let's just say that the monetization scheme is not quite clear yet. We are aware of several dozen Apple original TV shows and series in development, though most are in the early stages of production. It’s likely that only a few will be ready for the service by April or May; additional exclusive shows will launch throughout the year and into next year.